After a summer of hard work, iOS 7 is almost ready for you to take home: Apple CEO Tim Cook announced at the company’s special Tuesday event that its newest mobile operating system would be available on September 18 for free. In addition, Apple senior vice president of software engineering Craig Federighi previewed several new and exciting features coming to the system. Federighi began Tuesday’s iOS 7 overview speaking briefly about the new operating system’s design overhaul, including its depth and responsive motion. He then went through several apps and services, including the new Control Center and Notification Center, highlighting both their design and features. Also noted were Siri’s new voices, new Camera filters and Photos app organization, AirDrop’s wireless sharing service between devices, and the Music app’s redesign and the introduction of iTunes Radio. In addition to his general overview, Federighi mentioned a few new features coming to iOS 7. For one, Spotlight search has moved away from a separate home screen, and instead can be triggered by pulling downward from the top of the screen. 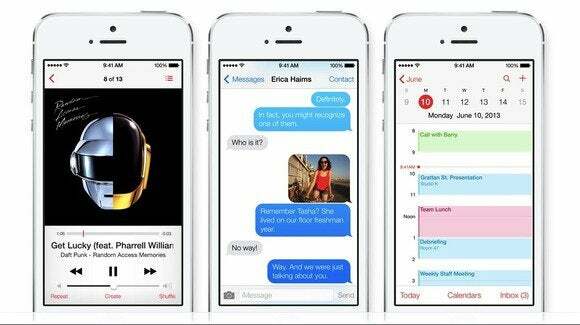 In addition, iOS 7 comes with new ringtones and alert options. We’ve written a lot about iOS 7 already based off Apple’s WWDC preview, and we’ll have even more to come during iOS 7’s release on September 18. The operating system is available for the iPhone 4 or later, iPad 2 or later, and fifth-generation iPod touch or later.